Category Archives: .7)_A3-iCutter -Auto& Semi-auto. Mini Body, Powerful Function! No Need Driver, Easy Installing. 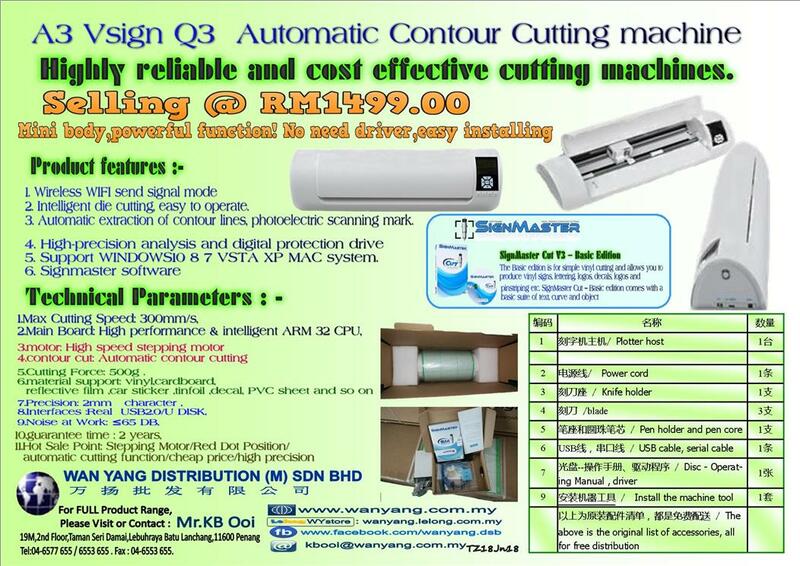 Highly reliable and cost effective cutting machines. Intelligent die cutting, easy to operate. Automatic extraction of contour lines, photoelectric scanning mark. Support WINDOWS10 8 7 VSTA XP MAC system. Hot Sale Point: Stepping Motor/Red Dot Position/automatic cutting function/cheap price/high precision. Published by chooi PC, in .7)_A3-iCutter -Auto& Semi-auto..
24inch” size Vsign Hwq630 cutter calving machine / cutting plotter. Vsign HWQ 630 is a Label stickers small carving machine, cutting plotter, Carving machine with infrared positioning, accuracy, and durability. It can be used for cutting vinyl, heavy-cardstock, vinyl,cardboard, reflective film,tin foil,aluminium foil, stickerpaper and sticker film. This machine supports the vast majority of professional carving commercial software, such as FlexiSign10、SignCut、Adobe illustrator, Auto Cad and Corel draw. Published by admin, in .7)_A3-iCutter -Auto& Semi-auto..